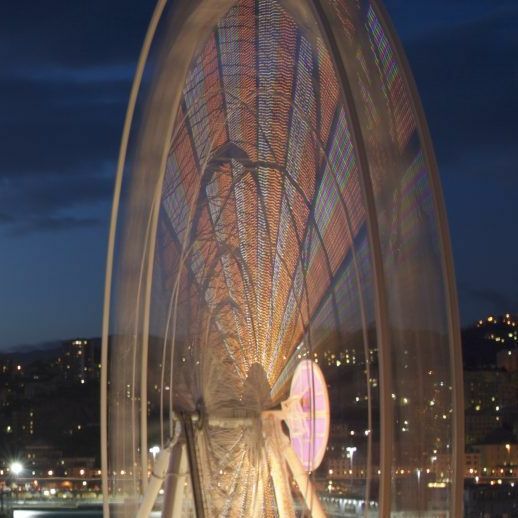 The spectacular Ferris Wheel of Genoa will be inaugurated on November 10th at the Old Port, and is located in Piazzale Calata Gadda. From it is possible to see the whole panorama of the port of Genoa. The Ferris Wheel will remain in operation for the whole winter. Saturday 10th November from 14:00 to 15:00 there is the inaugural ride, and the first 200 people can ride for free. The visitors of Genoa Aquarium are given a 50% discount. Saturday, Sunday and holidays: from 10:00 to 01:00.